Are you aware of the impact the colours in your home have on your mood and behaviour? Do you feel confident in choosing the right colours and styles for your home? Do you sometimes feel overwhelmed by the choice of styles and furniture available? Do you have a room in your home, where you simply don’t feel comfortable? Have you been postponing your home project for months or even years? Typically my interior design workshop participants are women, who feel stuck with their home design project. During my full day interior design workshop I help them find their own style and get clear on what they really want so they can get started on their project with confidence. You will feel inspired, have a better understanding of what interior design entails and will get started on your project during the workshop. You will learn a simple, but very effective 4-step tool, which will help you find your own style, channel your ideas and get a clear direction. 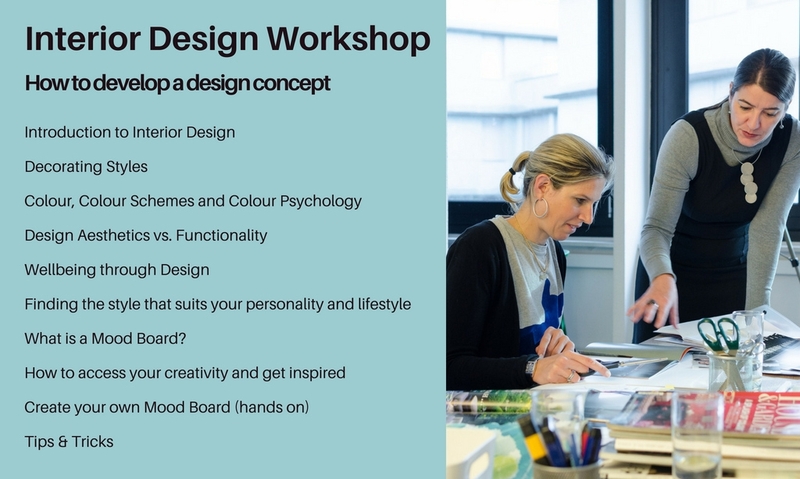 At the end of this interior design workshop you will walk away with your very own mood board in hand and the knowledge of how to approach any space in the future. 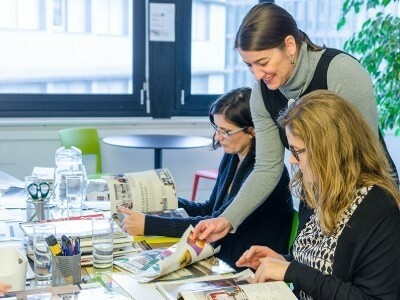 “If you want to re-decorate a room, or a whole apartment, or even just take a course that’s sure to get your creative energies flowing, then this Interior Design Workshop is for you. I look forward to sharing my knowledge and passion for interior design with you! The most important part of any project is the client! Before I get started, I like to get a clear understanding of the clients’ needs and requirements, likes and dislikes as well as lifestyle. This will help me create a personalised space that suits the clients’ personality and essentially gives them a home they look forward coming home to.